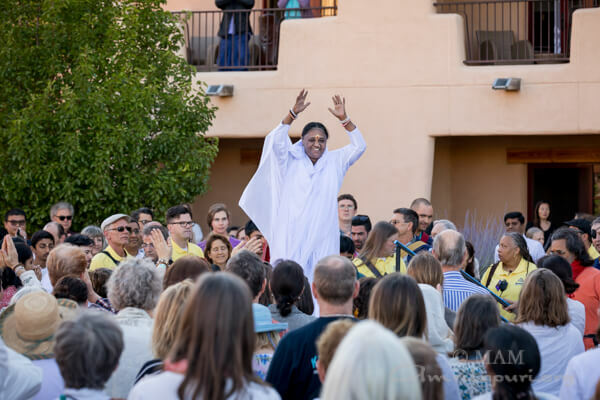 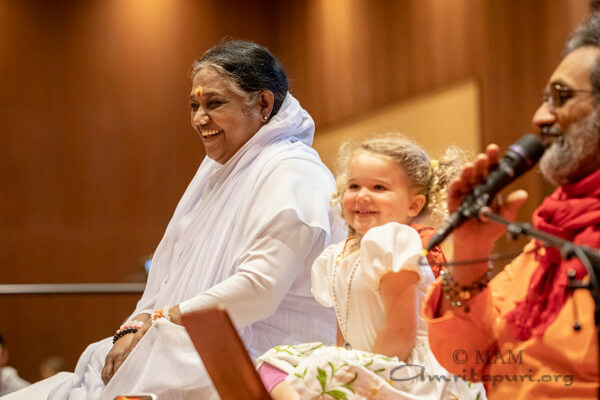 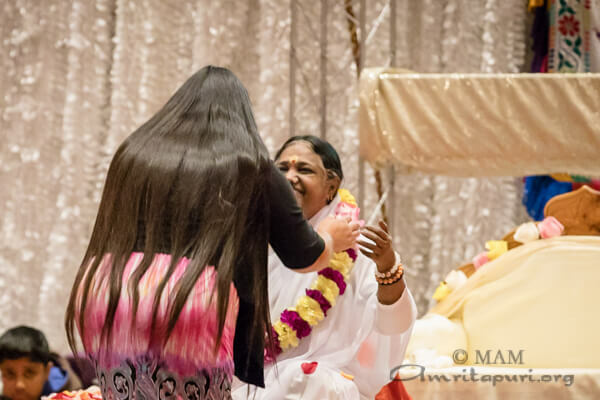 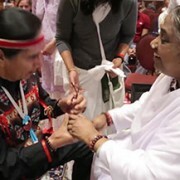 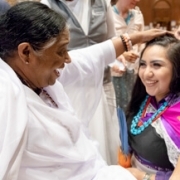 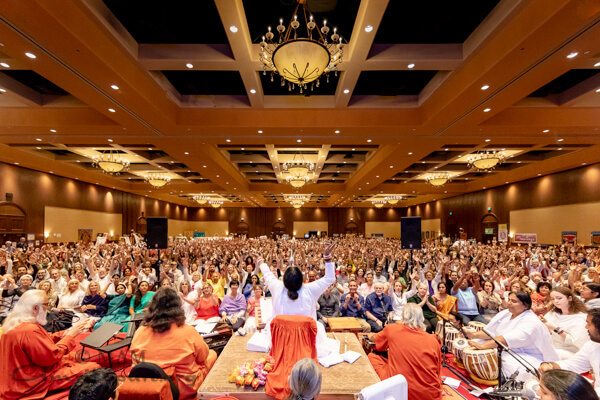 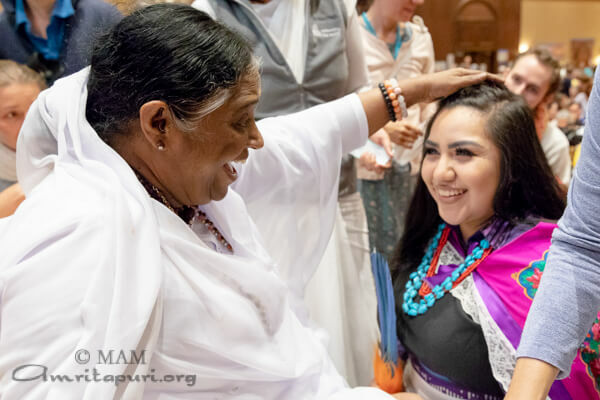 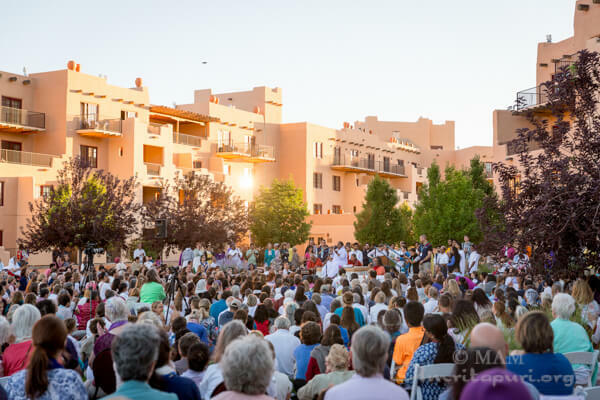 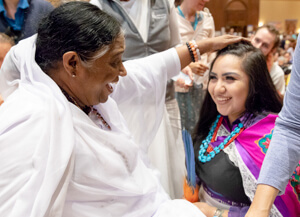 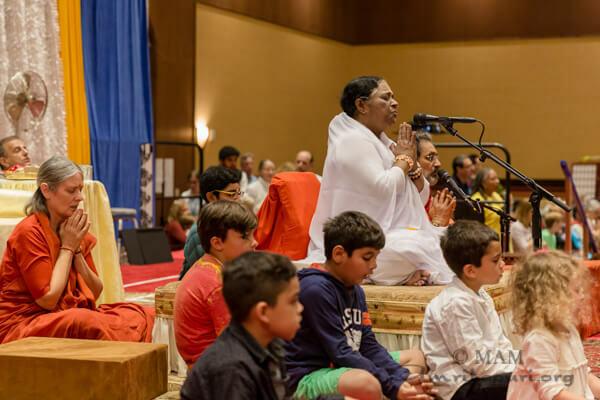 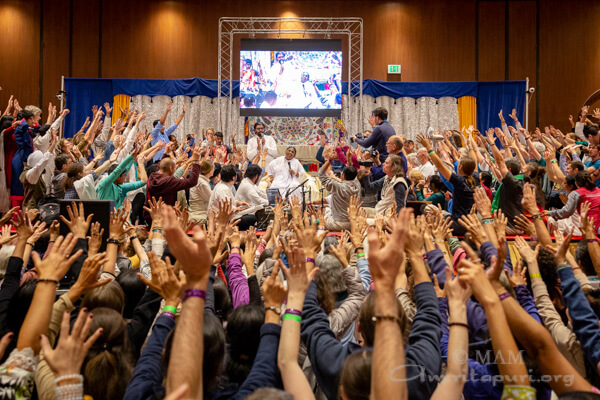 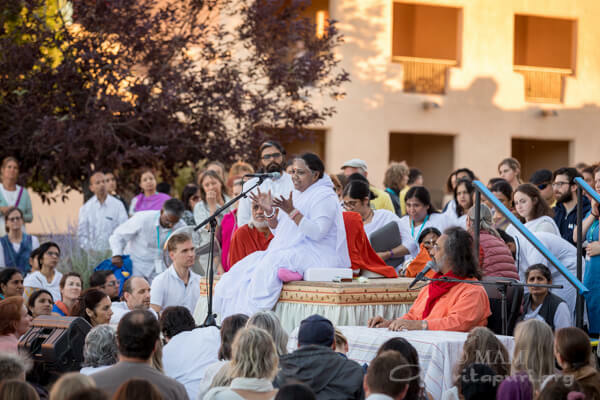 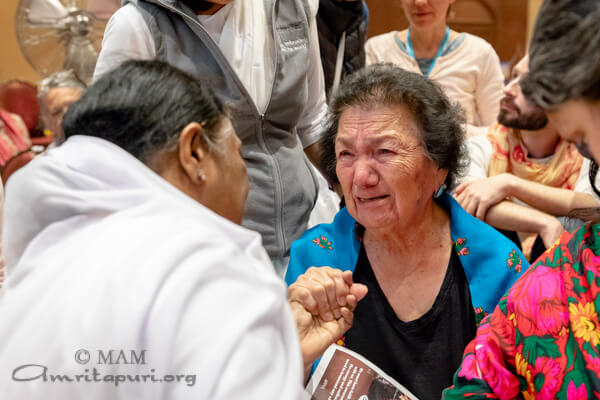 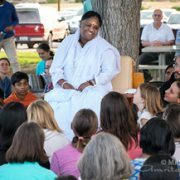 As has become almost expected with Amma’s annual visit to Santa Fe, New Mexico, the area was met with uncharacteristic rainfall up Amma’s arrival, showering the earth and blessing Santa Fe. 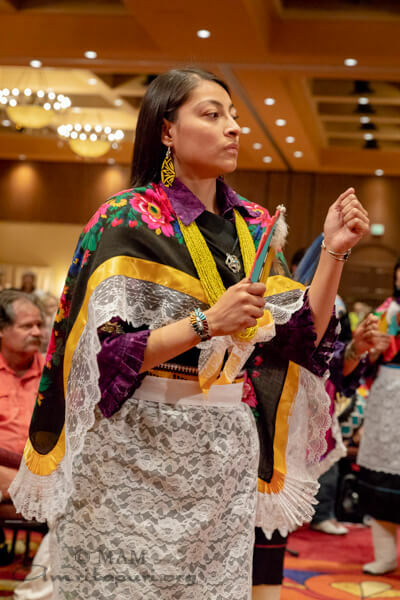 According to the Tewa tradition, rain is seen as a beautiful gift from the ancestors, signifying life and divine grace. 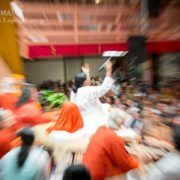 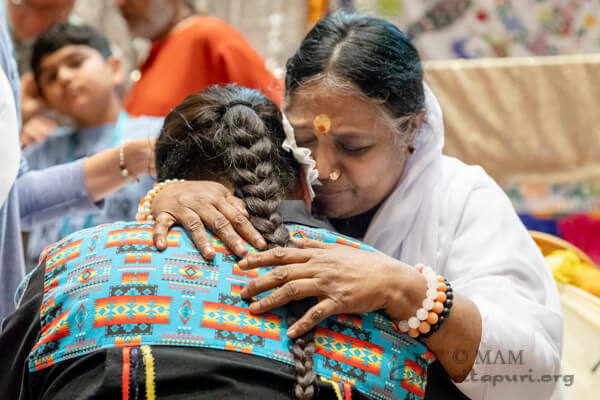 This was a special phenomenon that echoed the connection between Amma and the Tewa Dancers of the North, who graciously honoured Amma with a special Deer Dance during the first day of programs. 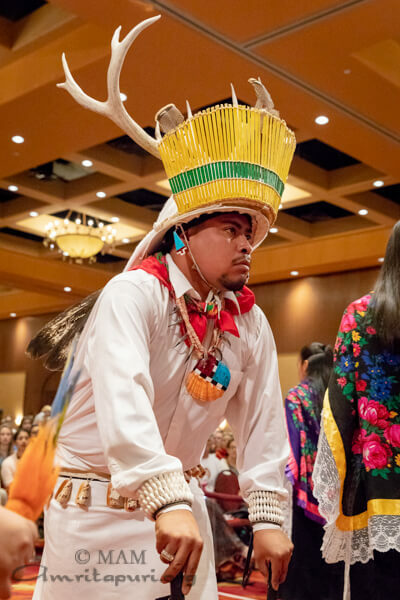 The group is from Ohkay Owingeh, known as the “Place of the Strong People,” and is one of the 19 Pueblo tribes indigenous to northern New Mexico. 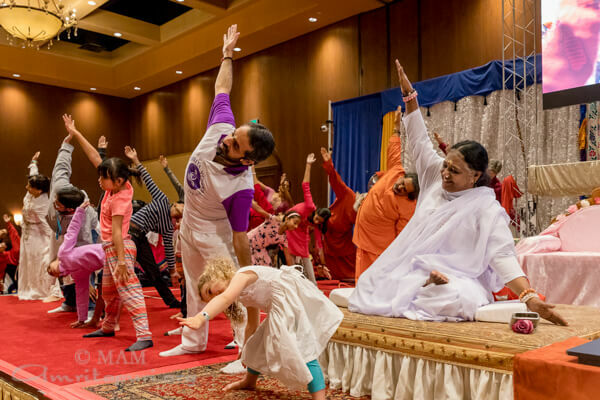 Religions are the flowers arranged for worshipping God. 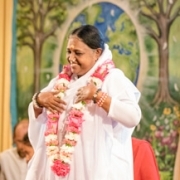 To subscribe send a WhatsApp message to this number +91-808-66-12345 with your #name. 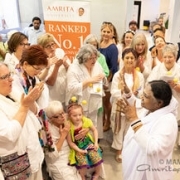 Why do people cry in front of Amma?